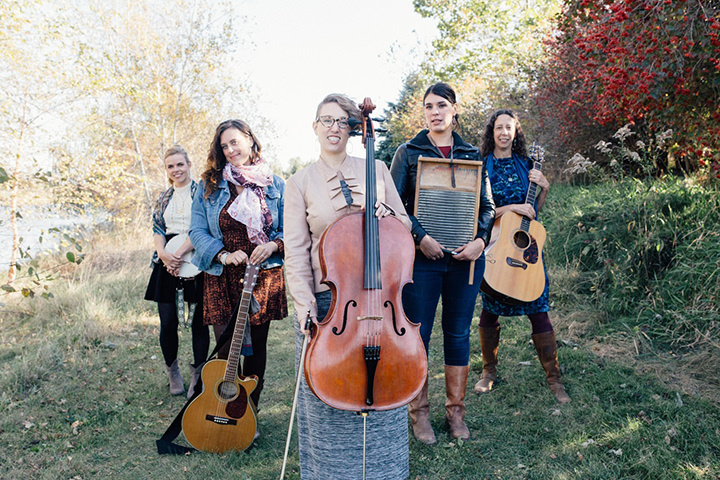 Founded in 2006 Awful Purdies is an eclectic modern folk quintet of female multi-instrumentalists who take turns stepping up as songwriter, lead singer and soloist, filling in sweet harmonies as they let the song lead the way. Collaborations have led the band to write a musical with support from the Iowa Arts Council, write original music through songwriting workshops with a intergenerational folk choir, and place their music in multiple films and television shows. With twelve great years, three albums, and numerous compilations under their belt, Awful Purdies hope to continue to share the music they make together for a lifetime. The Savage Hearts are a twin fiddle driven bluegrass meets honky tonk band founded by original “Jeff Scroggins and Colorado” fiddler, Annie Savage. Audiences can expect a highly entertaining stage show with drill-it-to-the-wall three part female harmonies and bombastic instrumentals. 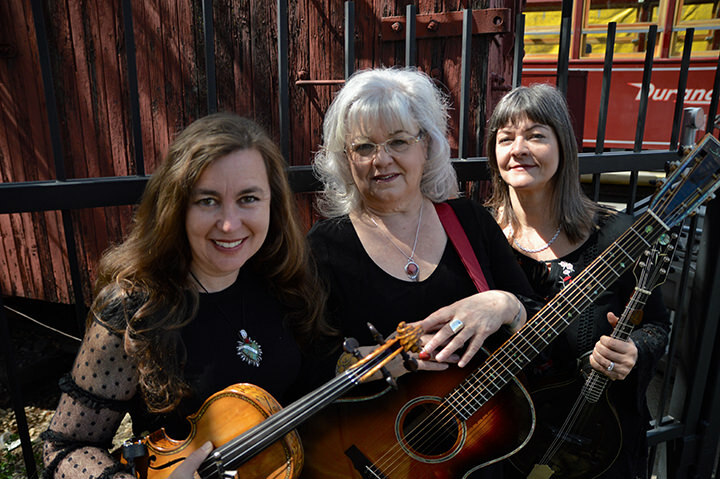 This southwestern bluegrass band also specializes in stage banter that could bring a tear to a glass eye (from crying or laughing to both at the same time) and has a passion for providing educational outreach. Recent performances include: 2017 IBMA Showcase and Band Ramble, 2017 Durango Meltdown, 2011-2017 Kaufman Kamp, 2017-18 MidWinter Bluegrass Festival and the International Folk Alliance conference in addition to presentations at the American String Teacher’s Association and various state and national level music education conferences.